Remembering the good, old days -- not to mention, super-delicious and unhealthy days of yore. 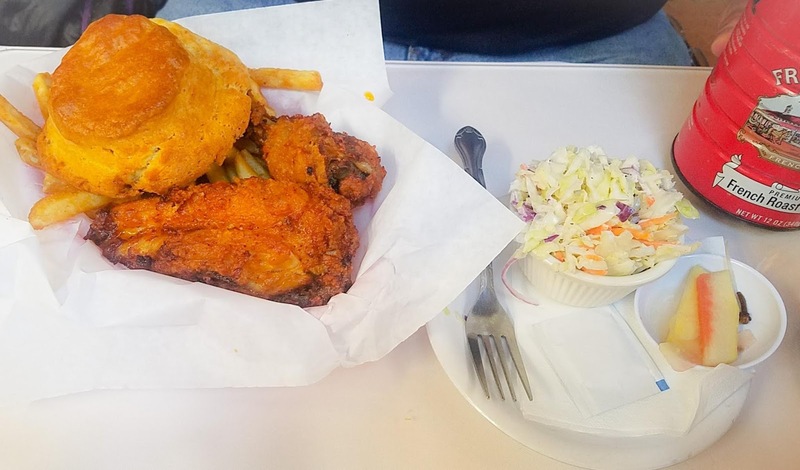 With our latest resolve to pursue a healthier lifestyle and diet -- this fried and greasy date night post is probably going to be the last one in a long time. Let us hope! 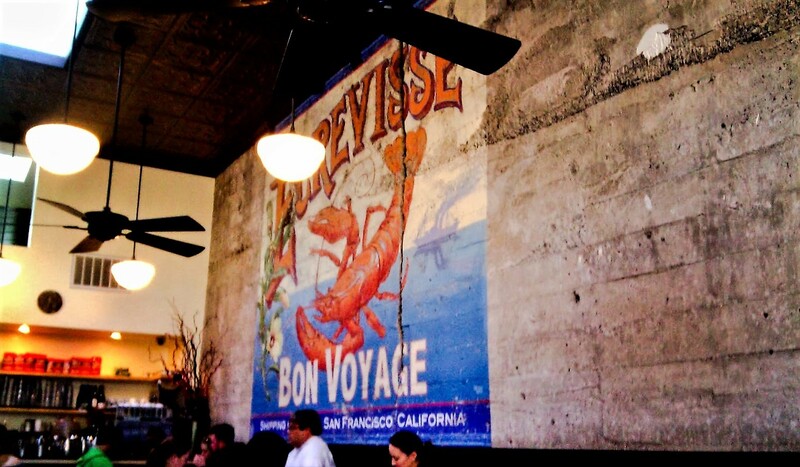 Brenda's French Soul Food is probably my most favorite restaurant in San Francisco. The po-boys and beignets are my guilty pleasures but always so worth it. This afternoon date with Mr Sweetie at Brenda's was special for a couple of reasons. First, I have been wanting to bring him over to this restaurant for the longest time but this San Francisco neighborhood leaves something to be desired. Second, this has been our celebratory meal after we registered as DP's or Domestic Partners! Yay! Actually, it was not that romantic. Ha! Ha! We just did it so I can put him on my health insurance but I will say that it was a cute and memorable afternoon. He came to work to pick me up then we went to City Hall to register. It took all but 5 minutes, 1 piece of paper and 2 signatures. Voila! We are now recognized as official and legit (although unmarried) couple by the City and County of San Francisco. We drove the 3 minute drive to Brenda's at around 3:00 pm, and there was no wait! If you come here around breakfast, lunch or dinner, be prepared to wait for over an hour! Mr Sweetie ordered a BFC or Brenda's Fried Chicken that came with fries, pickles and freshly baked biscuit. While I ordered my default which is a Shrimp Po Boy which always comes with fries. Eating at Brenda's is such an enjoyable experience. It is like being transformed in the French Quarter in New Orleans with the decor, ambiance and jazz. 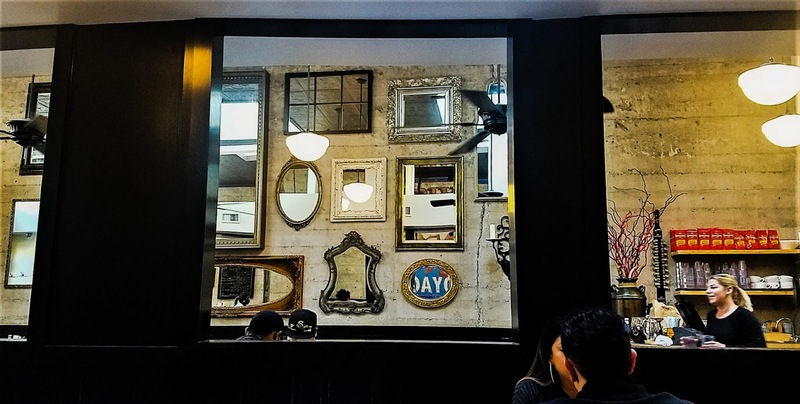 The decor is charming, somehow gothic and French Market coffee cans are used as utensil holders. 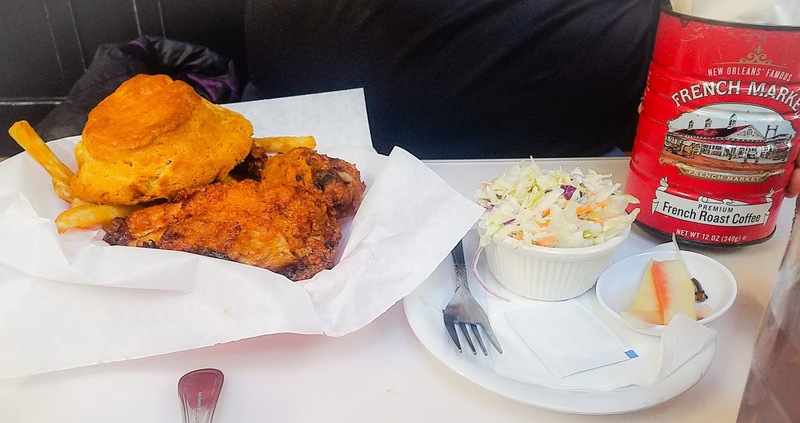 Although it is located in the gritty Tenderloin neighborhood in San Francisco, it is worth the trek. Tenderloin is an area in San Francisco that is hardened by people struggling with addiction, poverty and mental illness. It is intimidating to walk there if you are not used to such population but I never felt unsafe. I will still not walk there by myself at night. Just bring a friend next time, treat people with respect and walk like you own the street! I also could not resist to order Chocolate Beignets $9 to go. I just have to always remember that they are not so great when re-heated. Best to enjoy them while still at the restaurant. 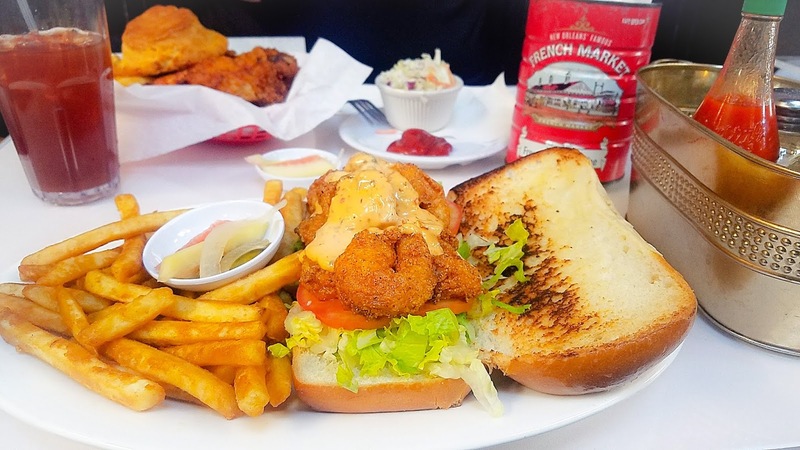 I know that I will "cheat" and return to Brenda's next time my cravings for oyster or shrimp po-boys attack. (Do not tell Mr Sweetie. He is not supposed to eat fried, greasy stuff just yet!) I will post pictures of beignets next time but my previous post on Brenda's shows plenty of mouthwatering beignet photos. Another great thing that I love about Brenda's is it has the best value in town. In this very expensive city, Brenda's portions are good enough for two meals (at least for my appetite) and the most expensive entree is less than $20.